The day after Thanksgiving in the United States is usually referred to as Black Friday. As the traditional start of the holiday shopping season (and one of the biggest shopping days of the year), it has become a day when merchants pitch their best offers to consumers, who oblige by spending atrocious amounts of money on unnecessary things. 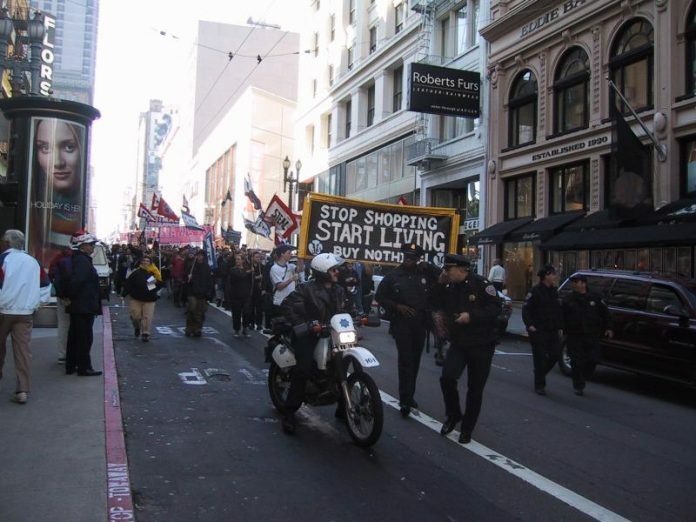 Since 1992, a competing movement has been in place to designate the day after Thanksgiving as Buy Nothing Day—in other words, a day to expressly go out of one’s way to avoid purchasing anything as a statement against consumerism. Whether or not you feel inspired to abstain from buying anything today, it’s a good day to think about why you buy things and to consider the extent to which your purchases are truly necessary—whether they solve problems or serve some other useful purpose.